Product Packaging:Standard Packaging Zombie-opoly allowsplayers to buy favorite zombies and increase the rent by buying Boxes of Fleshand trading them in for a Screaming Human. Its all fun and games until someonegets sent to BURIED and is under ground and clawing their way to the surfacefor three turns! Choose your token and shamble to RRrrrrrr! You may soon bere-animated...or you may just be blood spewed and bitten. 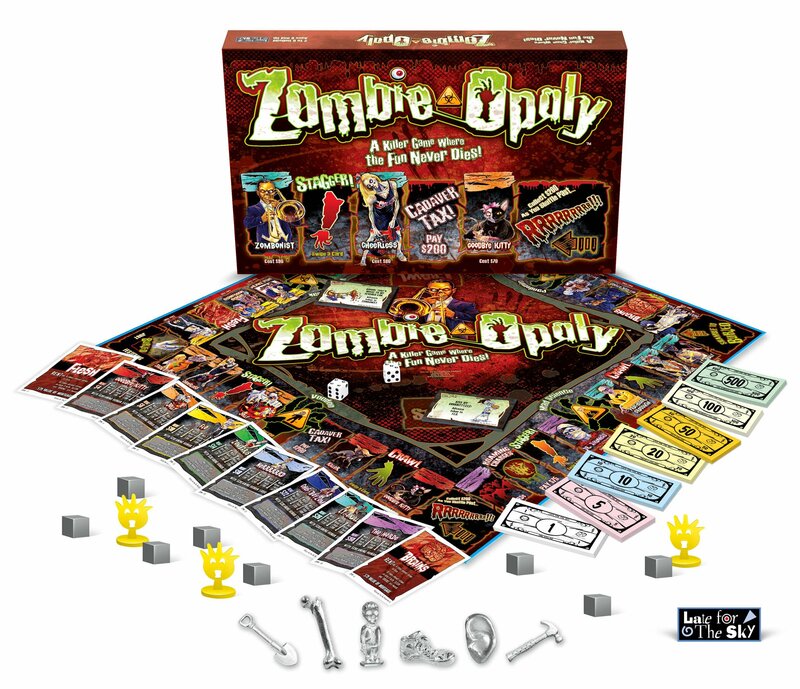 From theManufacturer ZOMBIE-Opoly Allows players to buy their favorite Zombies andincrease the rent by buying boxes of flesh and trading them in for a screaminghuman. Choose your token and shamble to RRrrrrr. You may soon be re-animatedor you may just be blood spewed and bitten.